The past few years, Shangri-la Hotel Jakarta has started to feel like home to me. The familiarity starts the moment I step into the Lobby, the familiar signature scent of Shangri-la, the interior decor, high-ceiling and brightly lit lobby lounge, up to the top notch quality of food in each and every one of the F&B outlet: SATOO, SATOO Garden, Rosso, Nishimura, Lobby Lounge and Shang Palace. 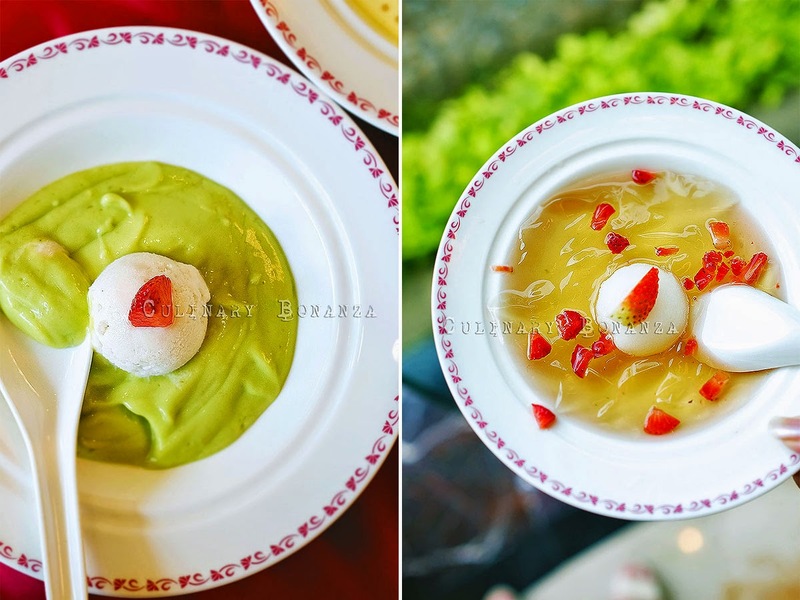 While I have been lucky enough to dine at each of the outlets above mentioned, I have yet tasted the regular menu at Shang Palace (the first time I went to Shang Palace was to try Kong's Cuisine from Shangri-la Hotel Qufu). 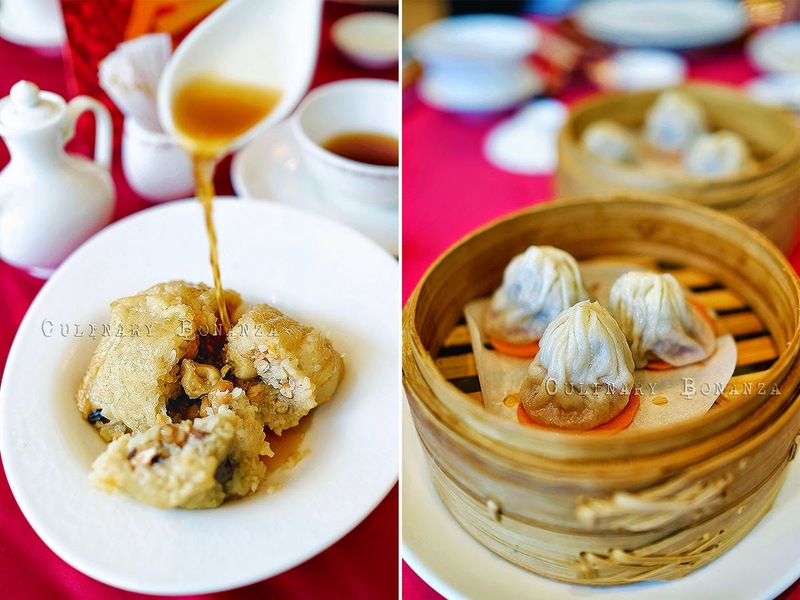 Shang Palace is, after all, the signature restaurant of Shangri-la Hotel chains, which specialize in serving traditional Cantonese cuisine and Dim Sum. Spoiler alert: this is probably one of the few high end restaurants that serves crocodile meat (?!). I found it unsettling, and while it may be ghastly for some of us, crocodile meat is actually a common delicacy in mainland China. 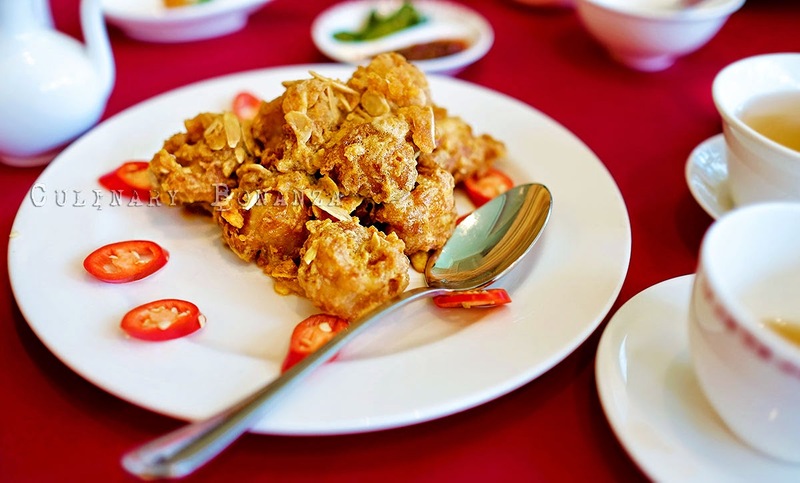 Other than a few 'exotic' special dishes on the menu, the extensive and thick menu book has something for everyone from appetizers, to meat, seafood, rice, noodles, soups, dim sum and dessert. 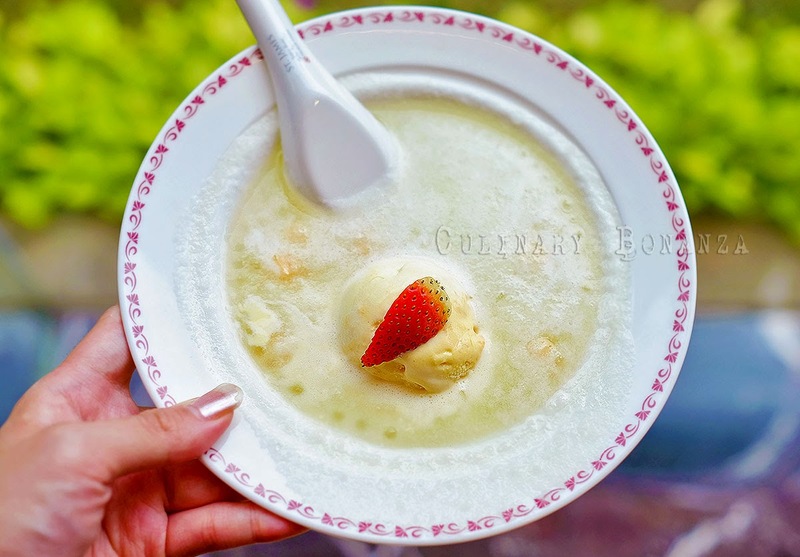 The a la carte menu is available daily for lunch and dinner, but especially every Sundays, Shang Palace whips up Sunday Dim Sum Brunch buffet, which is priced at very reasonable price for a five-star hotel standard (less than IDR 200k before tax, etc). 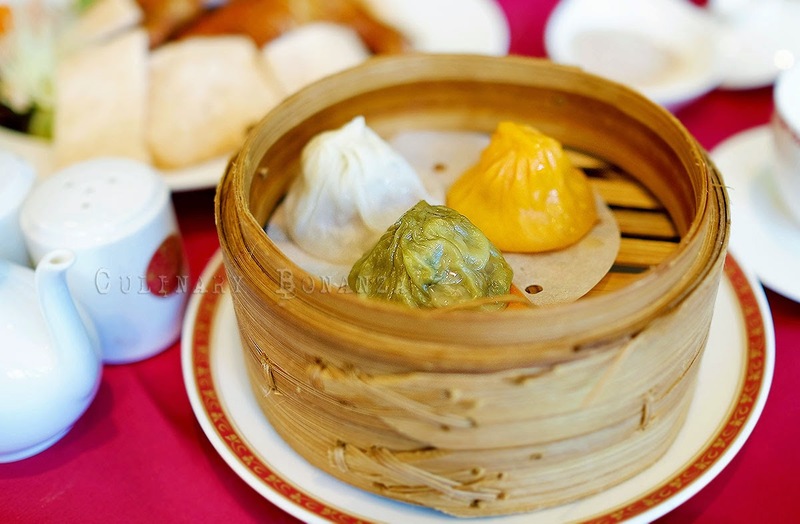 (photo above) Shang Palace Signature Rice Dumpling (dumpling season only), a serving of delicious traditional rice dumpling stuffed with pork belly, roasted duck, black mushroom, lotus seed & salted egg yolk fillings. 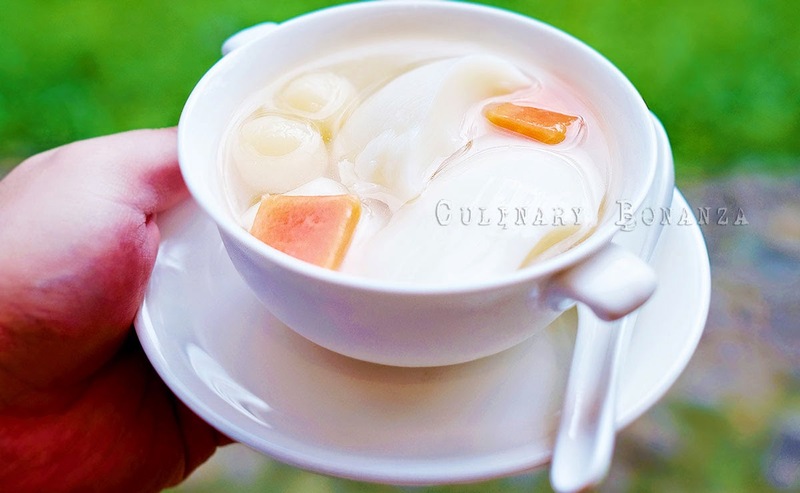 Interestingly, the rice dumpling comes served with brown broth. (photo above) Crispy Prawns with Wasabi Mayonnaise and Almond Flakes was the first dish to arrive at our table. The wasabi was an interesting twist and actually tasted pleasantly balanced with the fresh & juicy prawns! 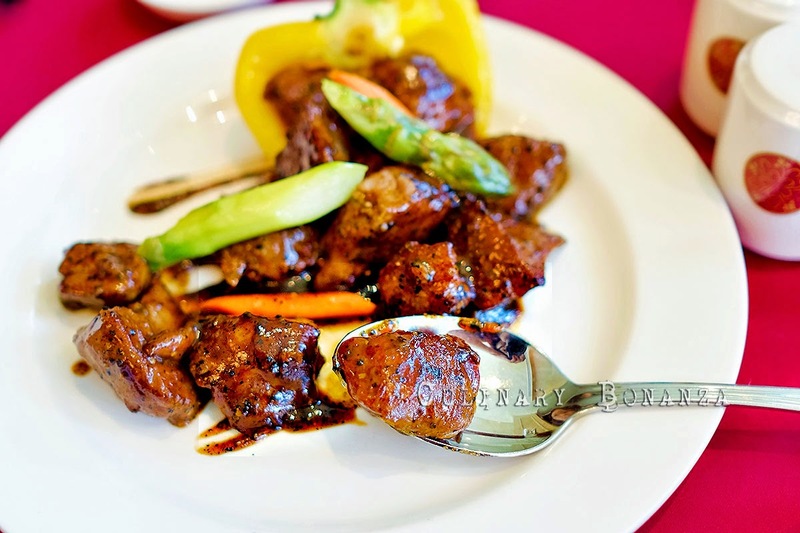 (photo above) The Wok-fried US Beef with Asparagus in Black Pepper Sauce was incredible, tender and juicy chunks of beef well-marinated in fragrant blackpepper sauce makes a darn good companion with rice or better still, eaten straight off the plate. 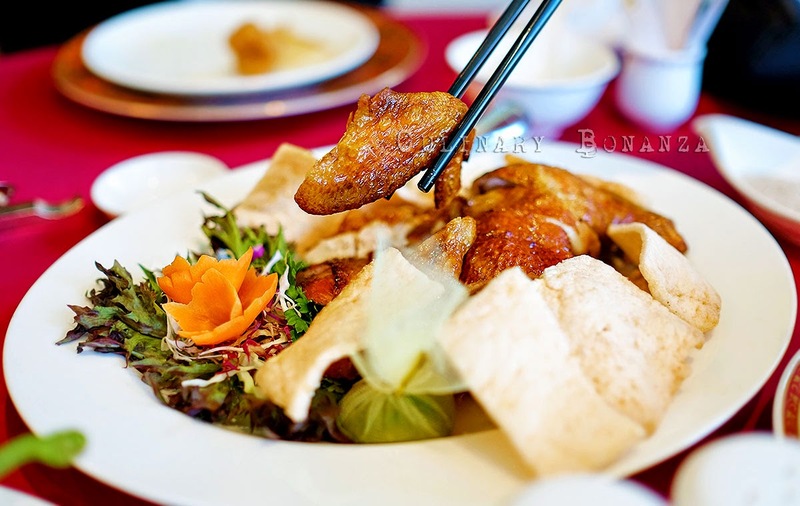 (photo above) The Roasted Crispy Chicken served with prawn crackers was surprisingly enjoyable for a non-fan of oriental style roasted chicken. Not only was the meat tender and well seasoned, but the skin was also roasted to perfect crispness. Dessert at Shang Palace is the happiest ending I could ever possibly ask. 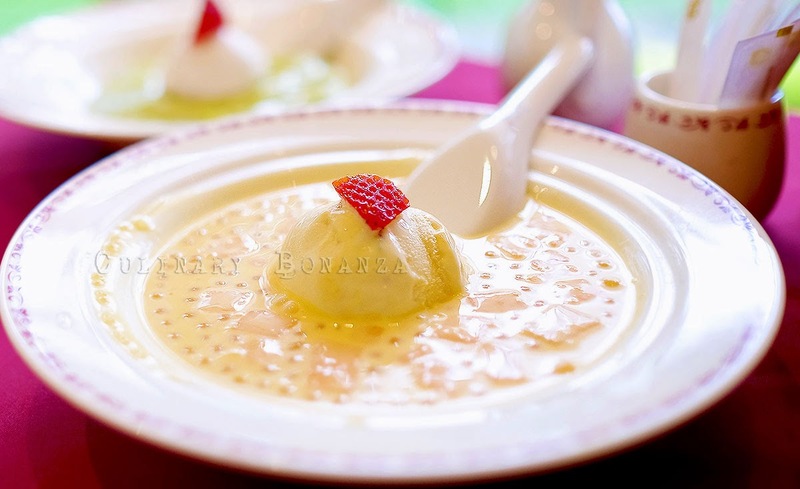 In general, the dessert are light and reasonably priced. Oh, don't ask me to single out one favourite, because I simply won't and can't, so I suggest, order several of them at once, because they're not too sweet, and refreshingly chilled.